Enter Now to win a Disney Dooney & Bourke Wristlet! We have had an incredible turnout in our Disney Dooney & Bourke Wristlet contest, but there is always room for more entries! Monday, August 27, 2012 is your final full day to enter the contest, so if you haven’t yet, you are missing out on great entries. In addition to the entries you get for following the Facebook Pages of My Dreams of Disney, The Disney Moms, Meet the Magic, Focused on the Magic, Picturing Disney, Magical Mouse Schoolhouse, Mouze Kateerz, and Disney’s Cheapskate Princess, you can also earn optional entries for following other services, and lastly, you can tweet about the contest every day for five entries and also share a blog post for five entries! So what are you waiting for? Enter using the Rafflecopter form below, and keep coming back each day after to tweet and share the contest also. Good luck! My Dreams of Disney is just that…My Dreams of my absolute favorite place in the World! Stop by and share your Dreams too! Check us out on Facebook, Twitter, and Google+, and check out our special pages on the Lands of the Magic Kingdom, the countries of Epcot’s World Showcase, and our Disney Planning Resource pages! Who wants to win a Disney Dooney & Bourkey Wristlet? Wordless Wednesday — Disney Friends! Magical Blogorail Red – Smells we love at Disney World! Get Ready for our next Disney Dooney & Bourke Contest! Welcome to my rendition of the Wordless Wednesday Blog hop hosted by my great friend Deb from Focused on the Magic! This weekly series is a big favorite of mine because it allows me to share many great photos, all based on a theme from that week. This week’s theme is Disney Friends, and I have a ton of great photos to share with you, so let’s get started! My great friend Amanda and me! Kerry, Monica, and me on Space Mountain! Friends Shane and Stephanie became Engaged Couple Shane & Stephanie! My Sister-in-Christ Brenda and me! Brenda is one of my closest friends! Madelyne-Lois, Chef Mickey, and Monica! I hope you have enjoyed my pictures! Thanks for stopping by to visit! To see the rest of the great entries in the hop, click on the button below to head on over to Focused on the Magic! Wordless Wednesday – Night Time Magic! from God’s own Holy Word. to hear it like the rest. that I have loved so long. After Church was over, as I was looking through our bulletin again, it struck me that Walt Disney loved to tell the story, and it was that love of the story that led to so many incredibly wonderful movies. 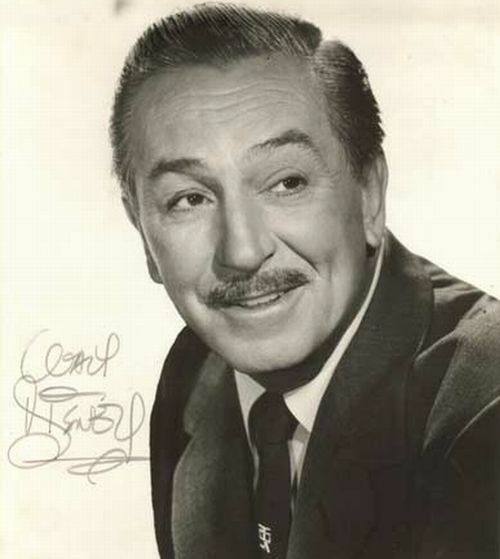 Snow White and the Seven Dwarfs, Cinderella, and so many other incredible movies, they were created by Walt and his team because they loved to tell the story. As those stories were told, time and time again, that led to the Dream that became known as Disneyland, and then, later, Walt Disney World. All of us that write about Walt Disney, whether it be about the man, the parks, the movies, or whatever, we are all continuing that tradition that Walt Disney started way back when. We love to tell the story. Certainly Walt Disney can not be compared to Jesus. There is no one that compares to my Lord and Savior. However, I have no doubt at all that Walt Disney walks in Heaven with Jesus. I never met the man, only know of him through what is found in the media and at the parks, but despite that, I believe that this is the case. Call it Faith, if you want to. I also have no doubt that my friend Ken is also up there, and is looking down at those of us left behind and smiling. What is the point of all of this, you may ask? I’m not certain that I have the answer to that question; I guess you could say that I was just led to write about it, to share with all of you the things that I had on my mind this day. I hope you have enjoyed it. Disney In Pictures: Seldom Seen Characters! Hello, and welcome back for this week’s Disney In Pictures edition! This weekly post gives all of you a chance to share your favorite photos from your Disney trips! Each week we have a different theme, and this week’s theme is seldom seen characters. I hope you enjoy this as much as we enjoy sharing them with you! Now sit back, grab a cup of coffee or some juice, and enjoy this week’s column! I love this topic and look forward to see the photos that you get! When we have the chance to vivist WDW, we always plan for an additonal day at the MK to JUST do character meet and greets, photos and autographs – that way we are not taking away from getting all those rides done!!!! This was the first time we have ever seen Clarabelle and Horace Horsecollar! There’s a great big beautiful tomorrow,shining at the end of every day! Michelle, I’ve got a similar picture, but my picture of Clarabelle Cow and Horace Horsecollar was taken in Town Square. Enjoy! This was taken in Epcot (World Showcase) the Summer of 2010 on our 2nd trip to WDW. We were walking past the entrance to the big events center that they have tucked behind big wooden blue doors near the UK Pavillion and we looked over and Smee was there. The cast member actually came over and requested that we take a pic with him because no one saw him over there (not a single person in line) and he hardly ever makes an appearance outside of the Main Street Electrical Parade at MK. This was probably one of the first characters my husband and I ever took a pic with. For other hard-to-find characters, I recommend that people go to the Animation building in HS just before 5PM to see all the unannounced characters there. You never know who will walk out the door next. We’ve seen the Queen of Hearts, Jafar and may others appear in those brief meet-and-greets. Thanks, Jennifer for sharing this. I’ve never had a picture with Smee or Hook, but we did get a really good photo of them from the 40th Anniversary Parade last October! Enjoy! I’m going to miss out next week because we will be partying with the mouse for Erinlee’s 8th birthday but I won’t forget to look at all of the photos!! 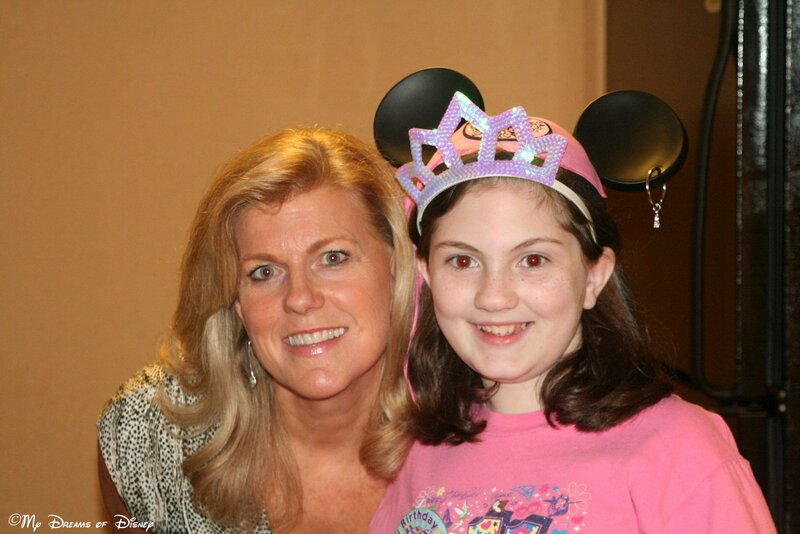 and Erinlee at Mickey’s Not So Scary Halloween Party a few years back. Then there is Iridessa …. We saw her when Pixie Hollow first opened and we had a 2 hour wait. It was insane but so worth it to capture the smiles of my girl seeing the Faries for the first time. She thought they were very funny! always so crazy getting out of the show. Glad we stopped to say HI because I hear she is rare now to signings … only comes out at Easter !! Thanks for sharing these, Dulcie! I’ll miss seeing your entries for next week, but have a great time at Disney! Hi there! I’m Kimmy and I LOVE this category! The Darkwing Duck photo is one of my favorites from 7 years ago! We were visiting Magic Kingdom for my birthday and as we walked through the Train Station’s tunnel towards Cinderella Castle, my sister and I at the same time shouted “DARKWING DUCK?! ?” It was SO unbelievable because Darkwing Duck’s show had been off the air for a VERY long time. We stood in his REALLY long line ((because why wouldn’t you)) and while waiting we heard the small boy behind us ask, “Mommy, why is Donald wearing that costume in December?” Hahaha…. Thank you all for sharing your photos with us here at My Dreams of Disney! To round out this week’s edition, here are some of the rare characters that we got pictures of (ok, my wife Cindy got these pictures) from the 40th Anniversary Celebration last October. Some of these you see in parades only, but they are unique, that’s for sure! Disney in Pictures — Pooh, Piglet, Tigger, and all the rest! Disney In Pictures: The Haunted Mansion! Who wants to win a Disney Dooney & Bourke Wristlet? Welcome to those of you joining me from Growing Up Disney and those of you just hopping aboard. I am the 2nd stop on our Magical Blogorail. I have so many favorite smells, I scarcely know where to start, but as Fraulein Maria from The Sound of Music so wonderfully says, “Let’s start at the very beginning, a very good place to start!” For me, the very beginning is always the Town Square section of Main Street, U.S.A., at the Magic Kingdom, and the smell I absolutely love in that location is that incredible smell of popcorn from the popcorn vendor! So many people have a favorite Disney snack, and I’m no different. For me, when it’s parade time, nothing comes even close to a popcorn and a Diet Coke to enjoy an incredible parade with! Close your eyes for a moment; can you just smell that delectable treat wafting into the air in Town Square? I can! As we progress up Main Street, U.S.A., the next smell that captures my attention is coming from the Main Street Bakery! I’ll bet you can guess what it is? If you’ve read this blog for a while, you’ll know that one of my favorite all time treats is a wonderful cinnamon roll, and the Main Street Bakery has the best in town in my opinion! Oh my goodness, just thinking of the smell of those wonderful treats is making me full, even though I haven’t even taken a bite of one! 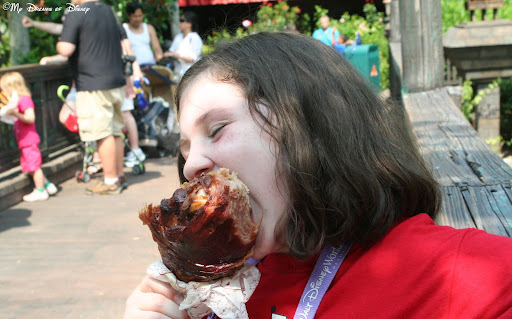 Those treats are probably my favorite treats at the Magic Kingdom. Now let’s head on over to Epcot so you can experience my next favorite smell! If any of you were to ask my wife, she would tell you that Mexican food is my all-time favorite food! When it comes to the wonderful aroma of some incredible Mexican food, nothing compares at all to the smells that come from within the Mexican Pavilion at Epcot’s World Showcase! I’ve practically written a dissertation about all that encompasses the Pavilion, so I won’t go into great detail about the sights and other factors that make up the pavilion; but I will say that the moment you walk into the open air market of the pavilion, the smell from the San Angel Inn is just incredible! I’ve never eaten there before, but it sure does smell good! So there you have it, my top smells at the Walt Disney World Resort. I could talk about the smell of a Jumbo Turkey Leg, and it is a good smell, but that treat is more about the visual affect (as seen on the left) then the aromatic smell! So what are your favorite smells at Disney? Why not tell me in the comments? Thank you for joining me today. Your next stop on the Magical Blogorail Loop is Disney Donna Kay. A Funny Thing Happened to Me on the Way to the World Showcase! Magical Blogorail- Best Time for a Disney Visit!